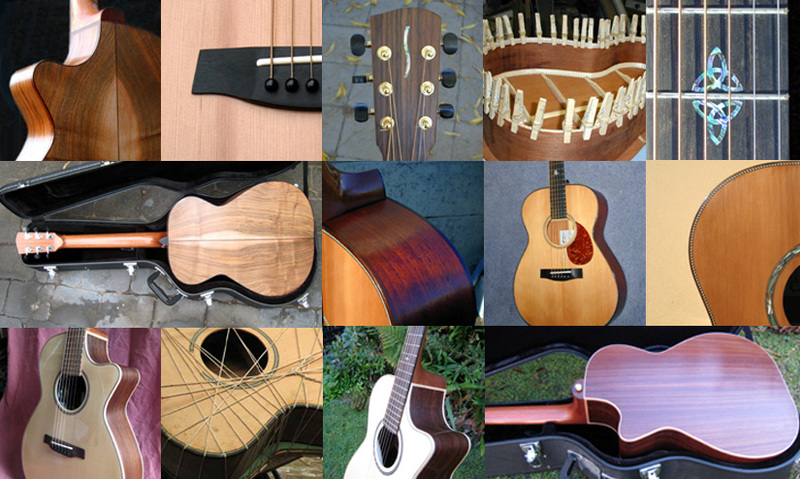 I definitely subscribe to the 'small is beautiful' school, especially when it comes to steel-string guitars. For balanced tone from bass to treble and sheer convenience it terms of posture, I don't think they can be beaten. And don't let anyone tell you that small guitars are quiet - a pure urban myth. Volume is purely down to the skills of the luthier and my guitars aren't shy! 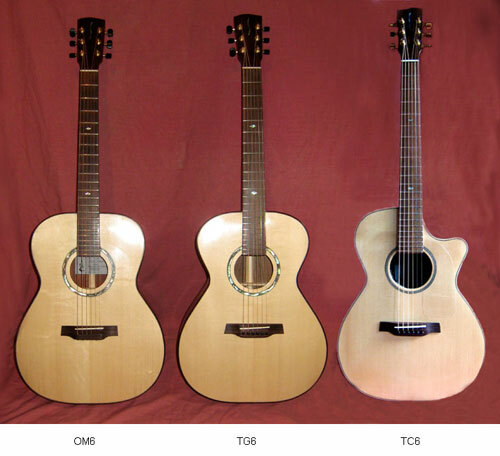 I am open to building different shapes and designs, but I have three which I build regularly, one modelled on the Martin OM shape and size, the OM6, one modelled on a Taylor shape, the TG6 and a similar one with a cutaway, the TC6.